Adore Video & IM Softphone is the highly advanced offering of Adore Infotech in the VoIP arena. It is especially designed to provide the platform to make unified VoIP communication that include voice & video conferencing and instant messaging with Group Chat. We offer you preeminent dialer software facilities as VOIP mobile dialer and twin mobile dialer. We provide you compatible software with Android, iOS / iPad and Windows/MAC application. Cost effective, fully interactive and customized telecommunication solutions utilizing the latest technologies to ensure the clients receive the very best return on their investment. Adore Softphone Mobile Dialer provides you the innovative communication technology. Now you don’t need to have computer for VoIP. You can make international call by VoIP using your mobile handset. We offer you preeminent dialer software facilities as VOIP mobile dialer and twin mobile dialer. 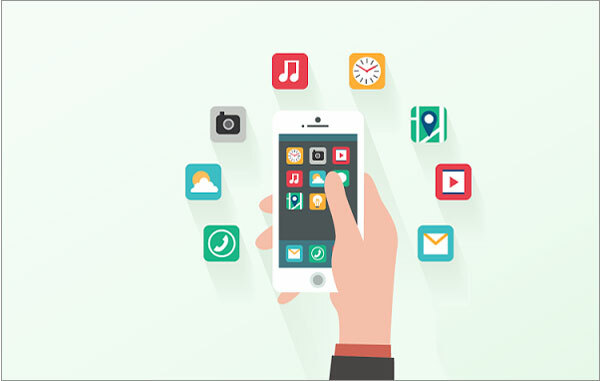 We provide you compatible software with Android, iOS / iPad and Windows/MAC application. Adore Softphone mobile dialer gives you the facility to put your company logo and name on the front of customized skin. 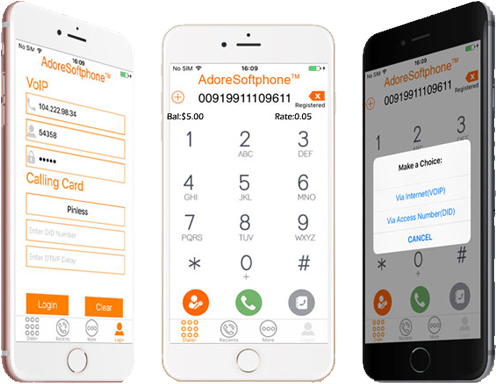 Adore Softphone software allows you to use its hi-tech communication technology to make long distance communication easier. 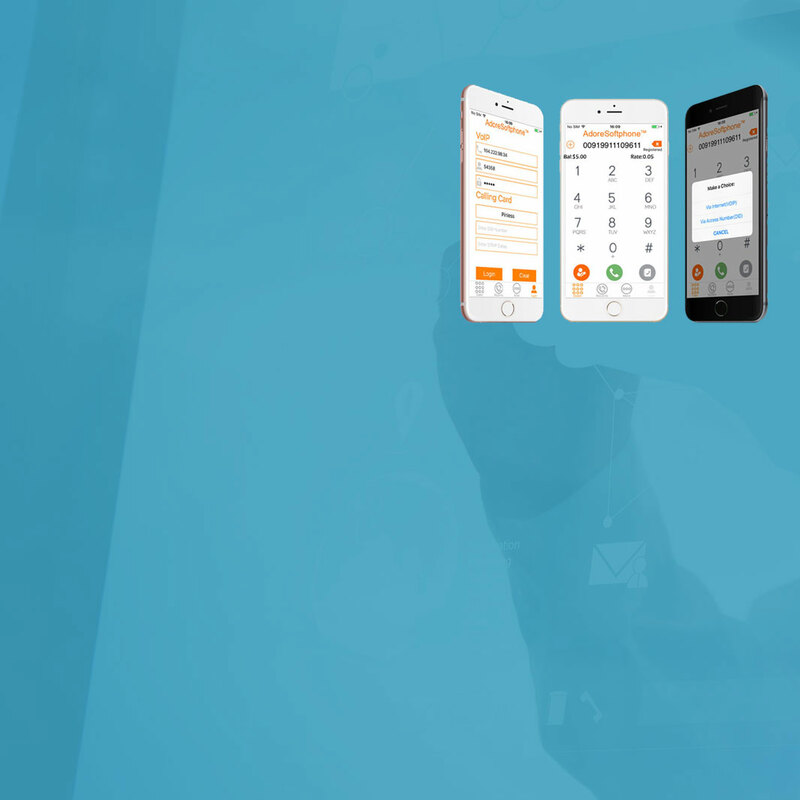 It allow you to instigate a voice call by using internet connection rather than traditional telephone system. Adore Softphone mesmerize you with unique features as customized skin interfaces, call timer, last Number redial, Touch Tone, Address Book, Micro Phone Volume Control, Speaker Volume Control, Work with any full-duplex sound card Auto-configuration of settings for easy deployment. 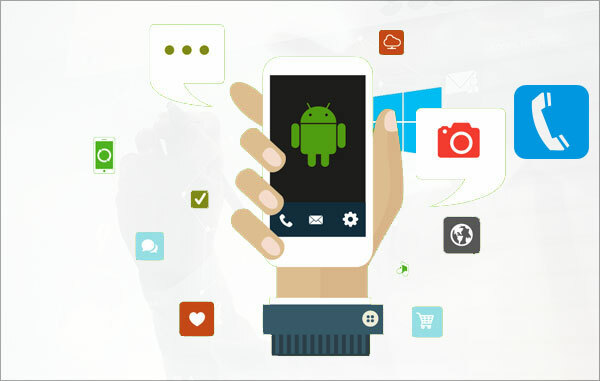 The popular mobile operating systems which is compatible with the majority of Mobile Dialer are Android and iPhone . These OS are used in major brands of mobile phones of the world. 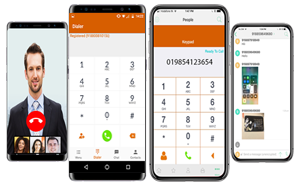 Simply utilizing the Softphone application as a part of the PC gadget of their office and associating it to the web, they can get the advantage of national and worldwide calls at exceptionally prudent call rates. Adore infotech team is very professional team , and very very Supportive. I am very impressed by the quality of the team working on Our VoIP project. We are so happy to work with them and our next project will go with Adore Infotech. Citrus carried out a lengthy search to find a cost effective softphone application that would meet all of our requirements. 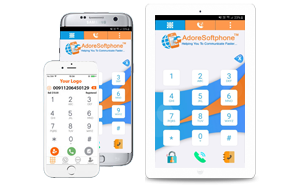 Adoresoftphone was chosen both for being both cost effective and for being willing and able to incorporate a number of modifications and design features. Alf Erik Christensen, GM of Softphone-World S.L. It has been many months of shopping around for a Softphone that would suit our needs and budget, Adore was the answer! I really did not think that I would receive a fine product like this with my un orthodox skin, for the very reasonable price that was quoted. It was different from the traditional phones on the market, but then, so are we, as a VoIP company different than most. Adore Infotech deserve the appreciation for the technical service provided. 1st day to till now I had a lot of queries regarding the soft switch as i buy through to you. I contact with you on Skype lot of time and you have solved my problem very nicely. for the technical support relay your tech team is very professional and helpful. They have one of the best customers service and After sales support you can find around. In fact during my past few years dealing with similar companies they adoreinfotech has the best respond timing either during the negotiation or even after sale!. Thank You Adore Team for the 1st Class service. I am happy with the Adore Infotech All in One Solution which you have provided. It has been working well. I appreciate your work and effort toward to it. Adore Infotech is going forward to be among the VoIP business leaders… We ROBOTEL Netdial are happy with Adore Infotech all department work quality. Until the present moment we are very satisfied with the services rendered with agility and speed, so we tested the functionality to make and receive calls, buttons and other functions and its so far so great, and excellent service from Adore Infotech Team. I confirm that I have deal with AdoreInfotech, during which time they have provided my business with excellent software/support in the areas of Voip Technology. I can confidently recommend AdoreInfotech Pvt. Ltd. As a solid and reliable supplier, and experts in their field in VoIP technology. I am very happy with the product/support of AdreInfotech Pvt.Ltd.you are the best in Voip technology in the market.AdoreInfotech doing good job before presales and after sales. My exprience is very good with Adoreinfotech sales team and tech team. Adoreinfotech tech team is best in VoIP technology. I am very happy with adoreinfotech product and service.Android Team is doing good job and good support in Adoreinfotech.I will goahead in future with AdoreInfotech. Having realized that IT is a core competency for ADOREINFOTECH PVT.LTD, we have partnered with who we think is best-of-breed in the industry. ADOREINFOTECH PVT.LTD, in my opinion, is head and shoulders above the competition in each of those areas in terms of someone that we would trust with running business as critical to us. I am very pleased with where we are with ADOREINFOTECH PVT.LTD today. It has been a good relationship and the people are very good. I think they are doing a good job. The people’s hearts are at the right place and I think it is going to be a high ride. Customer service representative was very courteous and knowledgeable. He was able to resolve my problem in a timely manner. Mr. S. Okonkwo, founder of Hello World. I am very happy your good support . Thanks for good support and hope this support will be in future also. Khan Jamil Ahmad, Kamsar Phone.